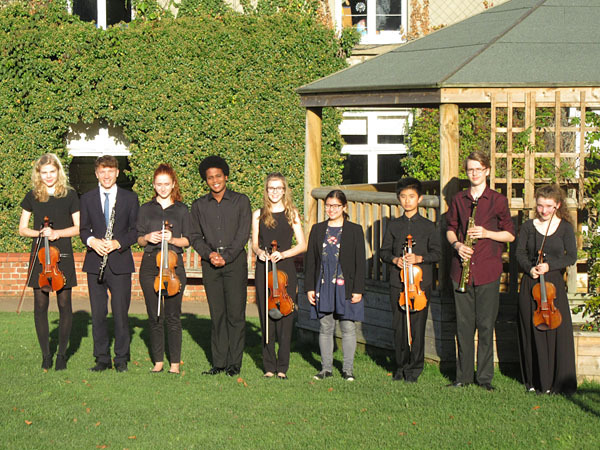 The WMSO Young Musicians’ Competition took place on Sunday 8th October 2017, at St. Piran’s School, Maidenhead. There were nine competitors aged from 13 to 19, both from the local area and from further afield, including one competitor from China. As in previous years the Competition proved to be a most fascinating musical experience, the standard of playing being exceptionally high. Each entrant played a short recital before an appreciative audience. The panel of three adjudicators consisted of Leon Gee, the conductor of the Windsor and Maidenhead Symphony Orchestra, Robert Roscoe the Conductor Laureate of the Orchestra, and the pianist Nigel Wilkinson. 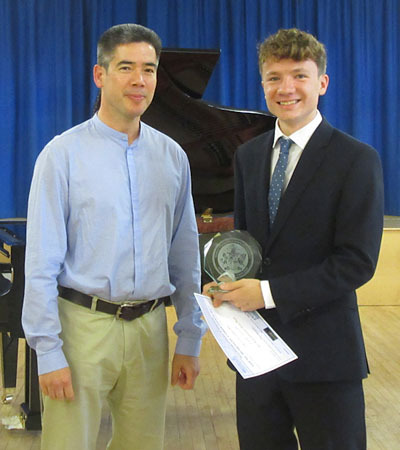 The first place was awarded to the 16 year old oboist Ewan Millar, a pupil at Reading School, for his exceptional playing. Joint second place was awarded to the 17 year old violinist Evie Rogers who currently attends the Purcell School of Music and the 18 year old pianist Adam Heron who studies at the Royal Academy of Music. As the prize for winning the competition Ewan will play a concerto with the orchestra during the 2018 –2019 season. The Orchestra is most grateful to Handel Pianos Ltd. of Sunningdale who kindly sponsored the event by providing the grand piano and to the Louis Baylis Trust for their generous sponsorship.